It may feel a bit too cold to think about camping right now, but Alberta Parks have opened online campsite reservations. Starting 9 a.m. on Monday, February 4 campers can log onto Reserve.AlbertaParks.ca and start booking their group camping areas. At 9 a.m. on February 11, comfort camping reservations will open to the public and individual campsite reservations for the May long weekend open 9 a.m. February 19. The Kananaskis backcountry camping reservations, which is new this year, will opening at 9 a.m. on February 25. Alberta Parks offers more than 650 new online booking options. South region at 9 a.m.
Kananaskis Country at 11 a.m.
Central region at 1 p.m.
Northwest/east regions at 3 p.m.
“Albertans continue to flock to our online reservation system with their sights set on connecting with the great outdoors and evenings relaxing around the campfire. This year, we’re pleased to expand our reservation offering to include Alberta’s magnificent backcountry,” said environment and parks minister, Shannon Phillips. Last year, Alberta Parks’ reservation system processed 164,101 individual campsites, 3251 group camping ares, along with 3,638 comfort camping units. Their 2018 total surpassed 2017’s online reservation total of 163,780 and set a new record for annual bookings. The government will invest $38M in provincial park upgrades, expansions and moderations in its fiscal 2018/19 year. This is part of their five year $239M commitment under Budget 2016. Backcountry reservations are not site-specific, they are campground specific only, so those who book into the campgrounds can select a vacant site upon arrival. The RAP system has roughly 600,000 account users. 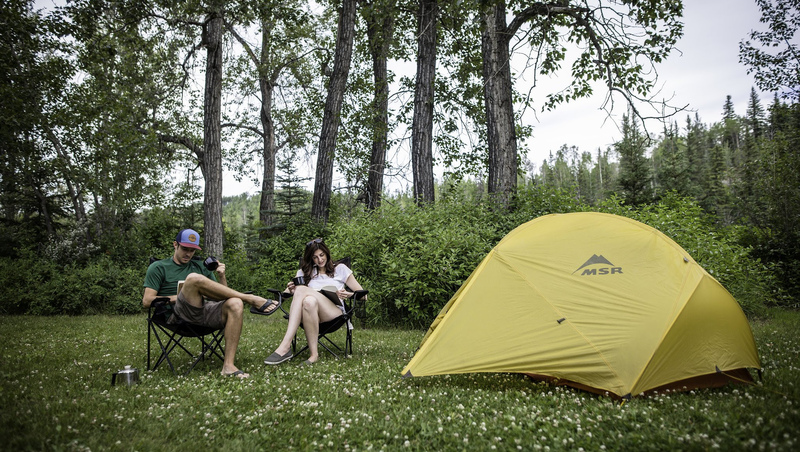 The Alberta provincial parks system has roughly 250 provincial campgrounds with more than 14,000 campsites. All money made from camping fees gets invested back into Alberta Parks. Photo supplied: Government of Alberta.